he Port of Cork marked a major milestone for the company today with the launch of the new Cork Container Terminal development in Ringaskiddy. 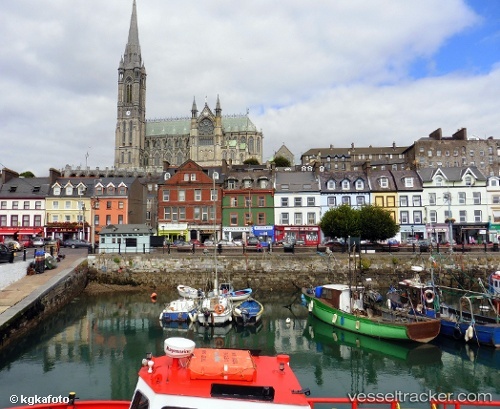 The Cork Container Terminal will initially offer a 360-metre quay with 13-metre depth alongside and will enable larger ships to berth in Ringaskiddy. The development also includes the construction of a 13.5 hectare terminal and associated buildings as well as two ship to shore gantry cranes and container handling equipment. The requirement for the development of new container handling facilities at Ringaskiddy was identified in the Port of Cork’s Strategic Development plan in 2010. 19 Oct 2017 - A spokesperson for the Port of Cork (pictured) said that full shipping movements resumed at 0600 hrs on October 17 Ireland’s ports of Cork and Dublin have fully resumed operations following disruption due to Storm Ophelia. The port made the decision to halt operations based on the issuing of a severe weather warning nationally – its RED level being the highest possible level on the scale. The storm disrupted ship and quayside operations at the port’s Tivoli container terminal and Ringaskiddy deepwater berth, as well as affecting gate operations in Tivoli.